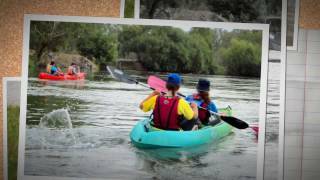 Canoe the Murray is a canoe and kayak hire, family founded, company built with experience and dedication that comes from many years of kayaking in the Murray River region. Canoes, paddles and life jackets all included in the hire fee as is a pick-up service. With enough boats available to cater to large groups, this could be the perfect activity for your next work social night, family outing or school excursion. Canoe the Murray is fully insured and licensed because safety is the highest priority at Canoe the Murray. Book your next adventure on the Murray River, go online or call Canoe the Murray directly.